If you Google “college admissions,” you’ll get a hundred and twelve million results (and growing!). 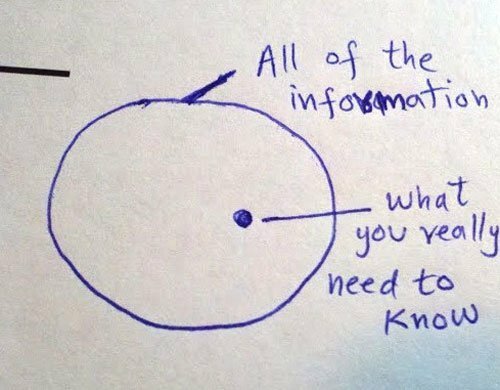 It’s literally a fire hose of information – some of it good, and some of it less than useful. How can you tell the difference, and how can you sift through it to find the tidbits that will actually be useful for you and your college-exploring student? Seek college admissions advice from experts (that is, don’t believe what “everyone” says). Experts in college admissions are people who advise students on a full-time basis, and who are members of at least one of the several professional organizations like NACAC (National Association for College Admission Counseling), HECA (Higher Education Consultants Association) or IECA (Independent Educational Consultants Association). If you consult someone who treats college counseling like their full-time job, you are more likely to get relevant, accurate information that is focused on helping you find the colleges that will fit you academically, socially and emotionally. A professional college counselor won’t promise to help “get you in” somewhere, but rather, help guide you to colleges where you will be a good match. On the other hand, “everyone” might be telling you that it’s better to be Student Body president than to play two sports, or that it’s better to play the oboe than take piano lessons, and that you HAVE to have community service! “Everyone” doesn’t know your kid! 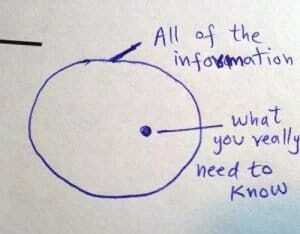 So their “advice,” no matter how well-intended, may not fit your child’s situation. Don’t believe anyone who has the “secret” to getting in to a highly selective school. There’s no secret and there are no shortcuts, just hard work and a thoughtful process. Anyone – or any app – who tells you they can calculate your chances of getting into an Ivy League is pulling your leg – or trying to sell you something. I recently got an e-mail from a website/app whose purpose is to help students create a balanced list – with reach, target and safe schools. A noble purpose! However, after I entered a 3.9 GPA, the ONLY piece of information it requested, it told me that I had a 55% chance of being admitted to Johns Hopkins. Just not possible!! This is dangerous because if you walk around thinking your 3.9 GPA will get you into JHU (or UC Berkeley – a 54% chance!! ), you are likely to be quite disappointed in the spring, when admission decisions arrive – when it’s too late to add to your list. 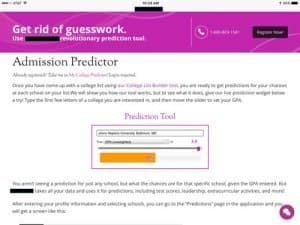 We’ve blacked out the name of this college admissions prediction app. It’s impossible to calculate your chances of getting into a highly selective college with just one piece of information. And there’s no such thing as a “prediction” tool when it comes to the very subjective topic of college admissions! Take a deep breath and know that with the right amount of effort, your son or daughter’s search WILL yield college acceptances! We like to start talking to families when their children are in 9th or 10th grade, and we start our full comprehensive program at the very beginning of 11th grade, with additional consultation as needed before that. It takes time to balance all of the moving parts in this process – finding a college where your child will fit academically, socially, emotionally, and with a price tag that fits your comfort level. If you need a little help getting started, we created this quick 30-minute webinar to help you think about what colleges are looking for, what college fit really means, and what resources are out there to help you. And feel free to get in touch if you need a little bit more assistance.